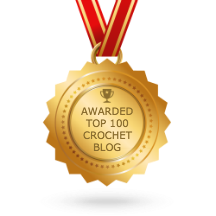 Help us celebrate the Two Hearts Crochet blog’s 2nd birthday with a truly magical project! It’s a Houses of Hogwarts Mini CAL! I call this a Mini CAL because you can work on it as you please, whenever it fits your schedule. These patterns, like all of the our CAL patterns, will be available here on the blog for as long as physically possible. While this project was initially designed to feed my need for Hufflepuff items, I always knew that I would have to design similar blanket patterns for the other Hogwarts houses! This project is designed not only to celebrate the blog’s 2nd birthday (and to drape my couch in Hufflepuff garb), but to celebrate the iconic world which has brought so much joy to our little world. Thank you for making the last two years a truly magical time! This CAL’s for YOU! To join this project, simply download the PDF patter of the house blanket you wish to make. Then download the PDF yarn color/yardage chart to find out how much yarn you need! I am recommending a size G/4.00mm crochet hook, but you can use a larger or smaller one if you like. 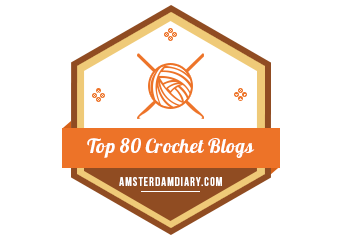 If you’re really crazy, you can use a tiny hook (or tiny yarn–or both!) and make all four designs and put them together! Crazy–or genius? I’ve also recommended Stylecraft Special DK yarn because it is a really lightweight, soft, BEAUTIFUL yarn, and it’s great for blankets. If you use the same yarn, the same size crochet hook, and have roughly tight tension, each blanket should measure approximately 56″ wide by 68″ long–just the right size to cuddle up with! Happy crafting, and thanks for celebrating the last two years with us! Download the Yarn Color & Yardage PDF chart here. I apologize for the tiny numbers on the graphs. It’s difficult to make them large enough to see without making the graphs stretch onto four pages instead of two. If you want to follow along on larger graphs, you can download the Microsoft Excel spreadsheet for all four house designs here. Not sure which house you belong in? Try on the Sorting Hat at Pottermore! I’ve tried to make the graphs printer-friendly. If you want, you can choose to print in black and white or grayscale to save on colored ink. If not, I’ve made the field color for each graph white so that you’ll use less ink anyway. Apologies for the delayed release of this project! I was hoping to have it auto-scheduled for 12:00am PDT, but my auto-scheduler didn’t quite work, and I was trying to fight off a migraine with sleep. But no bother! I hope you enjoy this mini CAL and I look forward to seeing your finished products! As soon as my yarn arrives (which should be sometime next week), I’ll definitely be joining you in making my own Hufflepuff throw blanket. Happy crafting, and happy birthday to the blog!